WASHINGTON D.C.—When the U.S. House of Representatives on Sept. 25 took up pivotal legislation about homeland security, it became clear that Americans might need to rethink the border wall concept. Why? 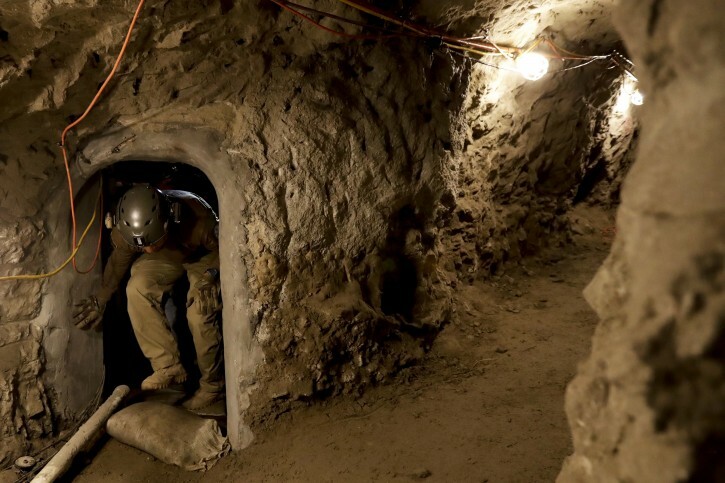 According to Texas Republican Reps. Michael McCaul and Pete Sessions, among others, law enforcement authorities are finding tunnels—lots of tunnels—crossing from Mexico into the U.S. These tunnels vary in length, depth and sophistication. During periodic Congressional coverage on Capitol Hill by this Stop the Presses News editor, McCaul recalled that, earlier in September, a tunnel 600 feet long was found, connecting Mexican territory with an abandoned Arizona restaurant. He also recalled that in 2010, a tunnel that reportedly went under the Rio Grande River was found near El Paso, Texas. 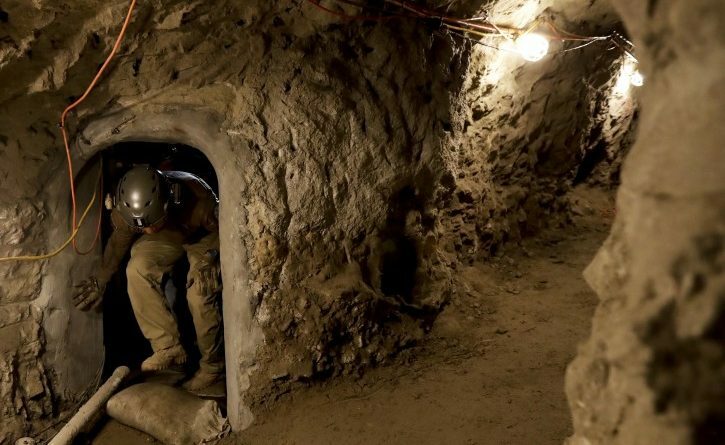 About 200 cross-border tunnels have been discovered since 1990, and that’s just the ones the government says it knows about, said McCaul, who chairs the House Homeland Security Committee. McCaul and Sessions addressed fellow House members about three weeks before reports surfaced that another “caravan,” said to consist of 7,000 mainly Honduran refugees, is apparently “marching” nearly 2,000 miles toward the Texas border—mainly “on foot”—a highly unrealistic prospect, given the distance (roughly equal to walking from New York City to the Colorado border) and the hazards that could arise, ranging from wild animals, to the weather, to the dangers posed by human traffickers who exploit the “asylum-seekers” no matter regardless of their mode of travel, subjecting them to new dangers that replace the original dangers the caravanners say they escaped from in the first place in their home nations. The governments of all affected nations, including that of the U.S., are short on details as to how that many people could even begin to travel that far “on foot” without the help of train and bus operators. In the House chamber, where this writer was the only reporter in attendance for the nearly hour-long border discussion, Rep. Sessions remarked: “Drugs, crime and gangs have been streaming in” through these invisible passageways, referring to the lengths that MS-13 Salvadoran gang members and drug cartelists will go to enter the U.S.
Of the bipartisan bills under consideration pertaining to different aspects of border security, the Border Tunnel Task Force Act, H.R. 6740, is key. The bill passed the House Sept. 26 and was forwarded to the Senate, where it’s in committee. Across the aisle, strong support for that and related legislation came from Democrat Cedric Richmond of Louisiana. He spoke eloquently on the House floor in support of Sessions and McCaul, exhibiting an unusually cooperative attitude, given the sharp partisan differences that have been further aggravated by the controversy over conservative judge Brett Kavanaugh’s nomination for the Supreme Court. Richmond, echoing his Republican colleagues, stressed that not only marijuana, but also cocaine, heroin, people, and other contraband are being found in these tunnels—some of which have functional water and sewer systems. Richmond, who noted that adding fence and wall sections may incentivize transnational gangs and cartels to dig even more tunnels, also has sponsored H.R.6620, a bill called the Protecting Critical Infrastructure Against Drones and Emerging Threats Act. So, Congress is now confronting the specter of the drug cartels using drones, officially called “unmanned aerial systems,” to fly drugs and other contraband over the U.S. border—given the increasing availability, affordability and sophistication of drones. Under these legislative measures, federal, state, local and tribal law enforcement will be authorized to seriously address the tunnel problem, while the Department of Homeland Security will be tasked with conducting threat assessments regarding drones. This is not to say that a wall has no purpose, as even the mass media cartel has had to admit. CBS News reporter Sharyl Attkisson, for her popular “Full Measure” show, this past spring traveled to Laredo, Texas and saw firsthand that Border Patrol agents need a physical barrier that provides a containment function to keep the “flood” of illegal aliens at bay. This enables the agents to make enough apprehensions and focus on highly risky locations without losing the battle altogether. Furthermore, not all illegal border-crossers can or will dig tunnels and be able to obtain or operate drones. But tunnels and drones do present distinct challenges from the most dangerous elements wanting to enter the U.S.
Another bill, H.R. 6742, the Secure Border Communications Act, like the above-named bills, was approved by the House and sent to the Senate. It calls for ensuring that Customs and Border Enforcement agents have “inter-operable secure radios” whose transmissions cannot be intercepted by cartels or gangs. For this writer, after covering two south-Texas forums on border issues in 2016 and a press conference about border security with Texas Gov. Greg Abbott in early 2018—along with examining the border fence closeup in 2018 and prior years in Texas—it has become especially clear that much more needs to be done than just dealing with illegal entries into the U.S. right at the border with Mexico, regardless of whether those entries are above ground or underground. Stopping the flow of illegal entries of people and contraband must start further south, particularly in Central America. And Mexico needs to be pressured to secure its southern borders with neighboring nations and stop what appears to be its aiding and abetting of illegal entries into the U.S. This is all-the-more relevant in light of the “caravan” of those “asylum-seekers” reportedly heading toward the U.S., as noted. Those who enter the U.S. illegally are not just Mexicans; they come from various central and south American nations and even from overseas and frequently consist of MS-13 gang and drug-cartel scouts and members; thus, the common emotional narrative that everyone who crosses the border is an innocent, genuine asylum-seeker only wanting a better life is a myth—which stems from the orthodox media’s fixation on the theme, shared with the Democratic Party, that all those who seek to enter the U.S. by whatever means are automatically admissible. And more immigration judges and other officials for processing illegal immigration cases are needed to alleviate large backlogs that hinder the ability of the U.S. to efficiently protect its border and separate genuine asylum cases from non-asylum cases. Notably, concerning the first of those three points, a high-ranking U.S. official finally called on Central American nations to take more steps to discourage illegal immigration to the U.S. The results remain to be seen. That official is Vice President Mike Pence. He spoke on these matters at an annual fall conference in Washington D.C., telling regional officials that in recent years, many of the illegal border-crossers have come from the Northern Triangle countries that include Guatemala, Honduras and El Salvador. Note the high number of unaccompanied children—meaning that they’re already separated from their parents when they arrive. This calls into question the nonstop claims that U.S. border authorities are separating children from their parents, “ripping the children from their parents’ arms,” in large numbers on a steady basis. Furthermore, amid the constant noise of the virulently anti-Trump media and its fixation on diversionary issues—Attorney Gen. Jeff Sessions earlier this year announced a zero-tolerance border policy. Under it, the federal government charges every illegal border-crosser with illegal entry—imagine that—forcing these border crossers to go before an immigration judge. That announcement was accompanied by Sessions’ stated plan to address another public concern and increase the number of immigration judges by 50% before the end of 2018. By the end of August, the backlog in immigration court cases reached 746,049—a 38% increase since Trump became president, according to Numbers USA. TRUMP THREATENS TO CEASE AID BUT. . .
For his part, Trump on Oct. 16 warned he would end all financial aid to Honduras if the president did not stop the group from leaving, though there are unconfirmed reports that some Hondurans had crossed into Guatemala by then. Honduras leads the world as the country with the largest homicide rate. The country is home to 8.25 million people and claims to have recorded 90.4 murders for every 100,000 residents, according to the United Nations Office on Drugs and Crime. At another of his packed rallies in Montana, Trump had this to say. “As you know I’m willing to send the military to defend our southern border if necessary, all because of the illegal immigration onslaught brought by the Democrats because they refuse to acknowledge or to change the laws. They like it. They also figure everybody coming in is going to vote Democrat,” he said, without explaining how those who had just entered the U.S. could even register to vote, much less vote. To weigh in on such matters, call your Congress and Senate members at 202-224-3121 or 225-3121. To write to any House member, put their name, House of Representatives, Washington D.C. 20515; or Senator’s name, U.S. Senate, Washington D.C. 20510. Also contact their district and state offices. President Donald Trump has claimed the Democratic Party are quietly supporting the huge caravan of Honduran migrants marching towards the United States’ southern border because they will vote for them. The President statement comes the day after Mexico dispatched two giant Boeing 727s loaded with federal police officers in order intercept the approach of a migrant caravan. Just yesterday, Rep. Matt Gaetz, R-Fla., posted a video on Twitter that allegedly shown migrants receiving cash. Gaetz called for the footage to be investigated as it indicated an outside source was funding migrants to travel by foot through Guatemala, Mexico, to the U.S. border. The claim is yet to be confirmed. “As you know I’m willing to send the military to defend our southern border if necessary, all because of the illegal immigration onslaught brought by the Democrats because they refuse to acknowledge or to change the laws. They like it. They also figure everybody coming in is going to vote Democrat,” Trump told the crowd at Missoula, Mont. According to The Washington Examiner: Multiple news reports have indicated 2,000 to 4,000 Hondurans and Guatemalans are marching to the Mexico-Guatemala border in intentions of entering the country and walking to the U.S. border. A group of 160 people left Honduras last Saturday and arrived in Guatemala on Monday. U.S. Customs and Border Protection had before shared with the Washington Examiner that the average trip from a Northern Triangle country to South Texas takes around a month. Trump said Thursday evening he was to blame for foreigners wanting to come to the U.S., even doing so illegally. “I will say, I have caused the problem. I’m taking full blame. You know why? Everyone’s like in shock. And look fake news, it’s my problem, I caused it because I have created such an incredible economy. I have created so many jobs. Everybody wants to come in so they’re all pouring in or trying to,” Trump said. Trump has urged Mexico to halt the caravan before it gets to America’s southern border. Mexico expanded hundreds of additional federal immigration officers and police to the state of Chiapas on Tuesday. Chiapas is one of two Mexican states that border Guatemala. Federal officials maintain the Honduran group will try to enter Mexico from the state’s 200-mile international border. Mexico’s Interior Ministry warned Saturday it will only support those granted visas to cross into the country. Those in the caravan would have had to have applied for visas at the Mexican consulates in Honduras. Mexico is the only Central American country that demands its neighbors to secure visas in order to enter. The caravan is the second major group of Central American citizens to migrate to the U.S. this year following one this spring. DHS previously told the Washington Examiner that smugglers often bring small groups of fewer than a dozen people from Central America, then hold them in towns just south of the U.S.-Mexico border. Then, they will lead 100-200 people over at once. Trump on Tuesday warned he would cease all financial aid to Honduras if the president did not stop the group from leaving, though they had already crossed into Guatemala by then. Honduras leads the world as the country with the largest homicide rate. The country is home to 8.25 million people and has recorded 90.4 murders for every 100,000 residents, according to the United Nations Office on Drugs and Crime.